Liberty and Poetic Licence enters new territory in Byron studies. The volume runs chronologically from the earliest of Byron's productions, through those of his early maturity, to those of his fullest development. It covers his output in both poetry and prose, and considers many works that do not generally claim, or have not generally claimed serious critical attention. The general theme running throughout the collection is that of ‘freedom’, with particular essays looking at grammar, geology, animal rights; literary, religious and intercontinental influences; poet-publisher relations; morality. These issues have not previously been addressed by Byron scholars and are rarely to be found together in the same volume. 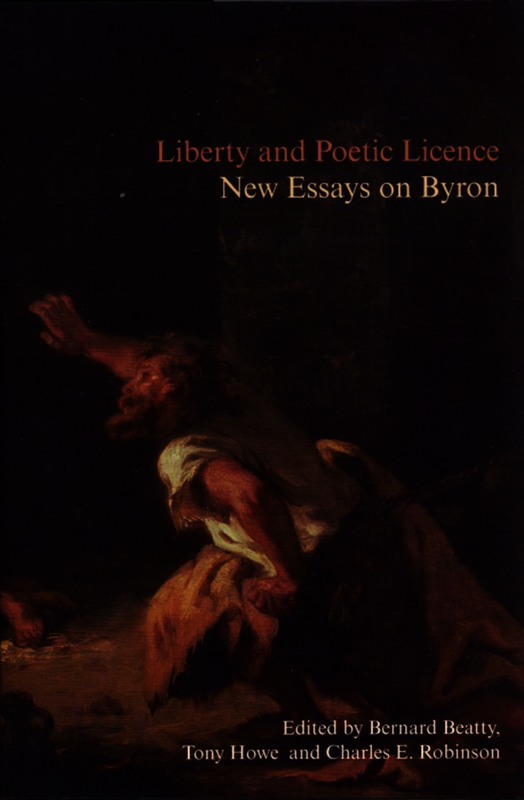 As a result Liberty and Poetic Licence provides a fresh approach to the study of Byron and his work. The volume achieves what it has set out do to – and more – by inviting a reconsideration of how we approach Byron. This invitation is not only extended by the volume as a whole but backed up by each individual essays which calls for further contribution and extended dialogue. The most notable achievement of the collection is the way in which it simultaneously builds upon past scholarship whilst offering a platform for future Byron scholarship. Dr Anthony Howe is Senior Lecturer in English at Birmingham City University. He is editor of the volume Liberty and Poetic Licence: New Essays on Byron (Liverpool University Press, 2008) and, with Professor Michael O'Neill, of The Oxford Handbook of Percy Bysshe Shelley (2013). Charles Robinson is Professor of English Romanticism at the University of Delaware and Executive Director of the Byron Society of America. He has written extensively on Romantic writers in all the major journals in the field, and he is the author of Byron and Shelley: The Snake and Eagle Wreathed in Fight and the editor of Mary Shelley: Collected Tales and Stories.